Enterprise architecture is a model-based approach to IT management used for promotion of good IT decision making. Thus, an enterprise architecture framework needs to support various forms of analysis. Creation of enterprise architecture models is costly and without intrinsic value, therefore it is desirable to create models that effectively support the sought after analysis. This paper presents an extended influence diagram describing theory of enterprise service interoperability. 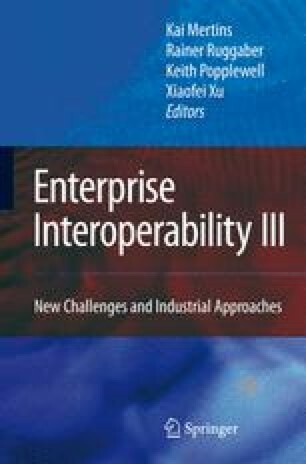 The theory is augmented with a metamodel containing the information needed to perform analysis of interoperability. A fictional example is provided to illustrate the employment of the metamodel and the theory in the context of IT decision making.